All the results and scorers from the sixth round of the NSWRL Intrust Super Premiership. 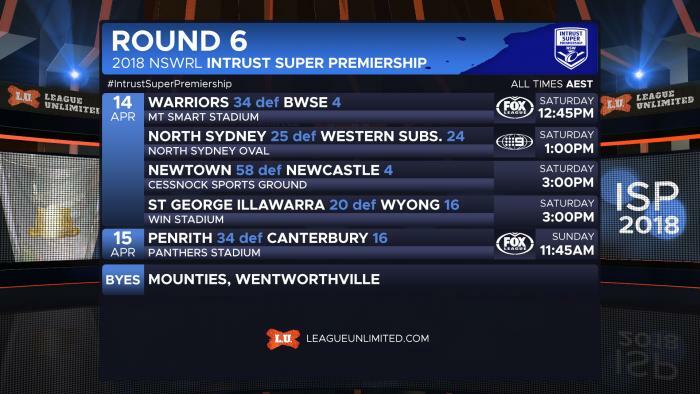 RELATED: See the full list of 2018 Intrust Super Premiership Draw and Results. Mounties and Wentworthville Magpies had a bye this round.